A judge has the authority to overturn a collector's court judgment. No one likes the prospect of facing a lawsuit. 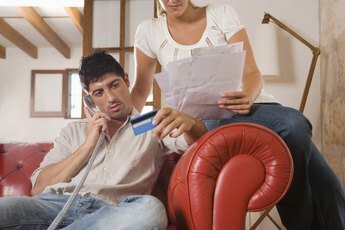 Unfortunately, if you ignore your credit card debt, that's exactly what could happen. As a rule, credit card companies charge off old debts and pass them to debt recovery companies for collection. 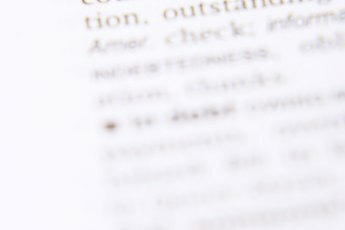 A debt recovery company, more commonly known as a collection agency, uses a variety of methods to make you pay up. A lawsuit is one such method. 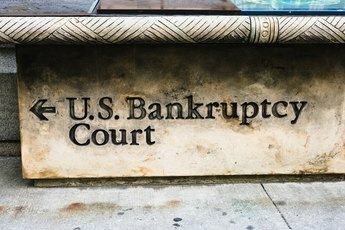 If a collection agency sued you for your credit card debt and the court ruled in its favor, don't despair yet. 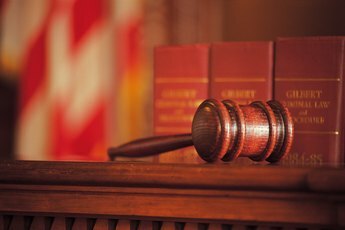 Depending on your state's laws, you may be able to appeal the court's decision and have the ruling overturned. Each state imposes a time frame for appealing a civil judgment. For example, Minnesota residents have 60 days from the date the court entered the judgment to file an appeal, whereas New York residents have only 30 days. Once the time limit for appeals passes, you won't be able to contest the court's ruling -- even if you have legitimate grounds for doing so. It's crucial that you move quickly to fight the claim against you and expunge the judgment from your record. Odds are you aren't too pleased with the judgment's consequences. Once it has a judgment against you, the debt collector can garnish your wages, place liens on your property and even freeze your bank accounts. Unfortunately, inconvenient consequences are not valid grounds for appealing a judgment. 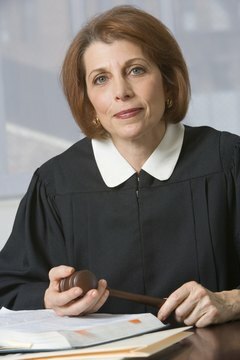 Valid grounds for appeal vary by state but, in general, you can appeal a judgment if you did not receive proper notice of the lawsuit, have a legitimate excuse -- such as an illness -- for not defending yourself in court, or the collector obtained the judgment after your state's statute of limitations for lawsuits expired for the debt. Like the time limit for appealing a judgment, the process of filing an appeal varies somewhat by state. In general, however, you must file a Motion to Appeal with the court that awarded the judgment and notify the collection agency of your petition. If the court accepts your Motion to Appeal, it will schedule a new hearing date. At the new hearing, you have the opportunity to present evidence in your favor while the collection agency has the opportunity to present any evidence it has against you. The judge will then decide whether to overturn the judgment or let it stand. If the judge rules in your favor, the judgment ceases to exist. You no longer have to worry about losing property to an overzealous collector. While the collector can still attempt to collect the debt from you, it cannot hold a judgment over your head in an effort to frighten you into paying your credit card debt. In addition, once the judgment is vacated, it will no longer linger on your credit report and hurt your credit score. Is a Judicial Lien an Unsecured Debt? What If My Creditor Files a Judgment?